Microsoft Office once had an unquestioned stranglehold on the world of productivity suites and programs. However, the forced subscription for the latest version and high-price of the 2016 alternative have given rise to a retinue of options that fall outside Microsoft’s banner. The best alternatives to Microsoft Office allow users the freedom to create and edit — many are even compatible with files made in Word, Excel, and other Microsoft’s programs. 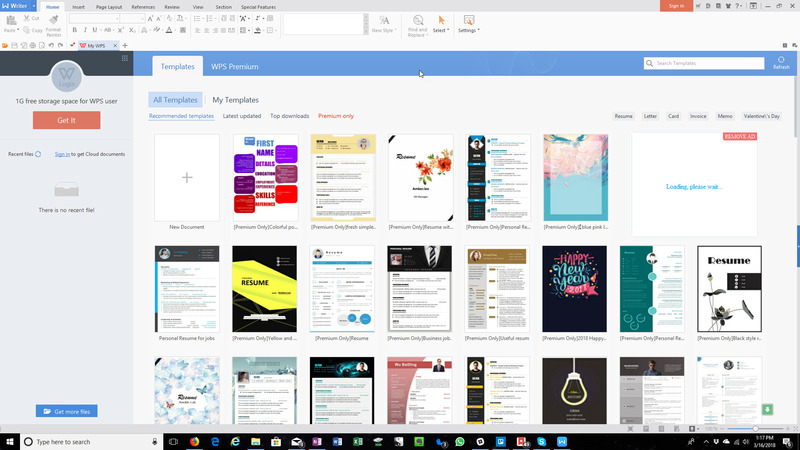 If you’re loyal to Microsoft’s product, it’s worth trying out the Office web-based applications, which emulate a lot of the primary features of Office right in your browser for free. Outside of that, there are capable alternatives available for both Windows and MacOS, whether you’re looking for a quick means to spell check the copy on your resume or string together complex formulas prior to an important business presentation. Below are a few of our favorites. The latest version of SoftMaker’s FreeOffice — released in 2016 — comes with full compatibility for DOC, DOX, XLS, XLSX, and PPT file formats, with a lot of work going into making them “loss free.” This means you won’t find any unexpected surprises when transferring your files into Word, which makes the software perfect for those who want a free alternative to Word but still need to work regularly with Word software. FreeOffice is also easy on the eyes and should be very familiar to Word users. The toolbars and document-creation options are similar to those in the Office suite, and the latest software updates further ensure the program is quick and relatively void of loading times. Even PlanMaker, the suite’s Excel alternative, offers features such as conditional formatting and pivot tables, which past Excel users will be able to jump into without the need of a tutorial. FreeOffice is also an excellent choice for carrying out professional projects. Not only does it provide compatibility with password-protected files, but it can also help you create PDF files or ePUB files, track document changes, and switch between languages on the fly. More common features — i.e., spellcheck and smart typing — also wait in the wings, ensuring you’re not missing anything Office-related. Google’s online suite should need no introduction. The cloud-based software remains ideal if you need to work with others on a project — particularly if everyone is familiar with Google Drive, where files can be stored and shared. The current iteration of Docs supports PDFs, DOC files, and even iWork files, so you need not worry about information being lost. It also integrates with most of Google’s other services, including Gmail, Calendar, and Google Plus. There’s also the G Suite productivity solution for businesses, which is a strong competitor to Microsoft’s Office offerings in many enterprises. The interface is classic Google — minimalist and oft-confusing. Certain tools or abilities may be hidden deep in menus or not made available for unknown reasons, which can make the software difficult to pick up without any previous experience. Still, if you’re used to Chrome or Chrome OS, then you know what to expect and shouldn’t have much problem navigating the menus. Plus, the ability to work on documents, edit work, and discuss changes with others who are also working on the same file — all in the same window — is incredibly useful and implemented well across different file types. For some, this is a reason to choose Google’s offering over Microsoft’s — paid or otherwise. This is a great choice for those with limited storage (like Chromebook users), or for those who need to edit at a distance. The creators of LibreOffice took a look at Microsoft Office and said, “Let’s make sure we can do everything Office can’t.” By now, the differences are so numerous that someone has created a useful (and lengthy) graph that showcases the extra compatibility that LibreOffice offers compared to Microsoft’s suite. This includes support for a vast number of document formats in both MacOS and Windows. If you’re using more distinctive software and are worried that Office won’t be able to handle your industry-specific formats, then LibreOffice is more than happy to step in. The open-source community behind LibreOffice remains active, and continues to create extensions that allow you to equip your apps with any features you may need. Recent updates include improvements to interactive forms within documents, new presentation templates, and a cloud-based version of the suite for remote use. And given both “Fresh” and Nightly beta modes are currently available, you’re also guaranteed to see regular improvements with LibreOffice. 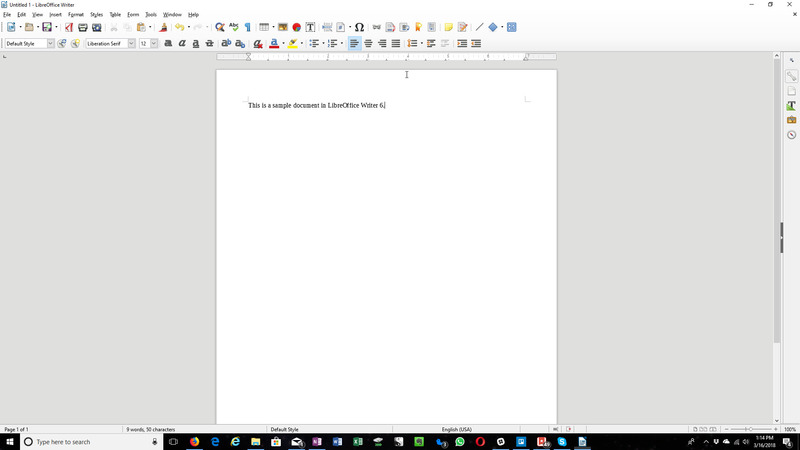 Ultimately, if you like Office but are looking for a highly-customizable alternative that can expand on the tools Microsoft provides while offering solid compatibility, LibreOffice is for you. Of course, learning and building LibreOffice into the software you want may take a little work, so give yourself plenty of time to learn what’s at your disposal. 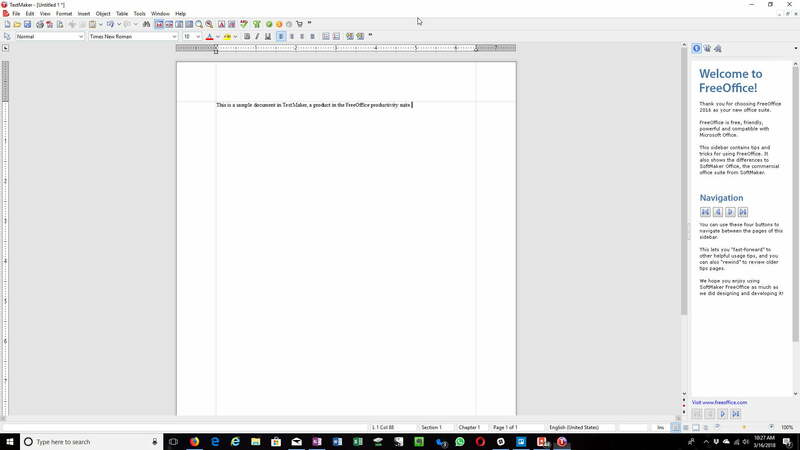 WPS’s Office alternative comes with Writer, Presentation, and Spreadsheet, all of which mimic programs in Microsoft’s iconic suite. All files you create with these apps will be fully compatible with their Microsoft counterparts, and there’s an extra suite of PDF conversion tools in the event you need to export or import in a more ready-friendly format. Plus, the suite is available for free on both Android and iOS devices. WPS is ideal if you’re used to a specific interface in Word programs and want to mimic the experience as closely as possible. No time to learn new tools? No worries. Even the template options are based on Microsoft’s traditional templates, which makes it easy to find your favorite way to start and fill out a document. 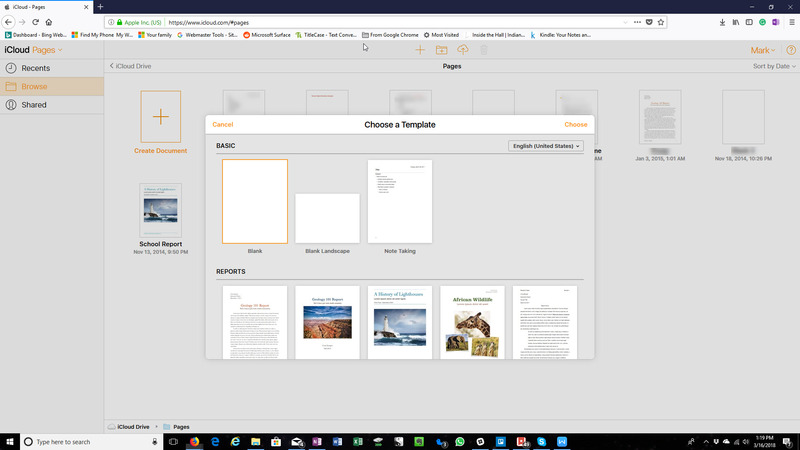 Plus, the interface more closely resembles newer versions of Microsoft Office than many of our other picks, so jumping in immediately may be even easier than you expect. WPS isn’t content to copy Microsoft in all things, however. The software touts a few useful tools of its own, including organic ways to change paragraph layout with your mouse, advanced section navigation, and document tabs that allow you to quickly manage multiple documents. This makes WPS Office a great choice for laptops and/or schoolwork. Apple’s iWork wasn’t originally designed for compatibility with Office Docs, but over time, the developers decided to add more functionality. You can import Microsoft files and edit them in Pages, Numbers, or Keynote as needed, which is a huge advantage that makes iWork the perfect Office alternative for those working on a Mac. These days, even Windows PC users can use iWork if they don’t mind doing so via iCloud (Apple currently doesn’t offer compatible desktop versions). Of course, accessibility is more determined by your familiarity with iWork than anything else. 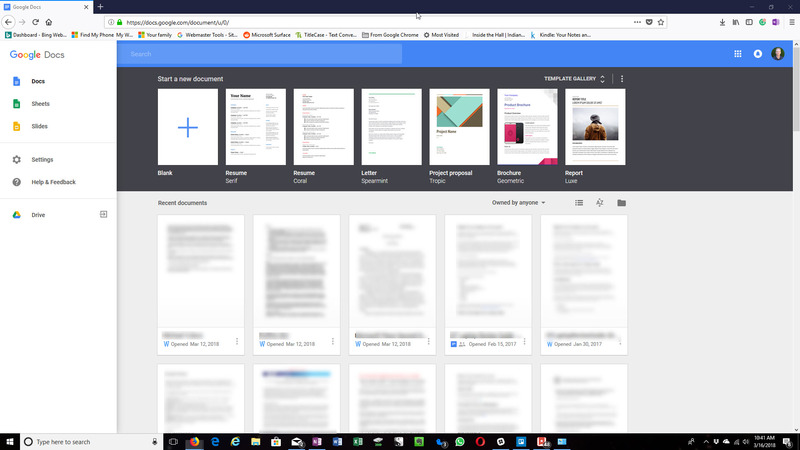 These apps may be able to produce similar documents in the end, but they don’t really resemble Microsoft office when it comes to the interface. Tools are located in different places and tend to be a little more obscured than their Microsoft counterparts, so if this is your first time using these apps, you can expect a steep learning curve before things become simple. Also, keep in mind that iWork is made to function alongside iCloud. If you currently use the cloud backup solution then that will make it much easier to share documents over the cloud and store them off-site if necessary. If your whole team is on board, this can be extremely useful, but as with the aforementioned Google Docs and G Suite, everyone needs to be on the same page. If you’re a mobile user, you also want to note that the iWork suite is broken into three separate apps, each of which needs to be downloaded individually.